Donald Trump is no stranger to hyperbole. The president has developed quite a reputation for exaggerating issues—to the point of telling outright lies. Moral implications aside, this type of rhetoric has proven to be incredibly effective. So effective, in fact, that it has significantly impacted the way Americans view immigration. 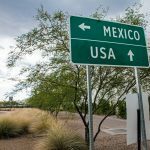 For many years, the U.S. and Mexico disagreed on where to draw the boundary between the two countries. The Boundary Treaty of 1970 settled these disputes, specifically as it related to the Rio Grande river. In fact, the Rio Grande was relocated in two places (by building new channels) to make the U.S.-Mexico border conform to the stipulations of the treaty. Portraying immigrants as criminals, drug dealers, and rapists is a fear tactic that is being used to manipulate the public into supporting an agenda based on myths rather than facts. 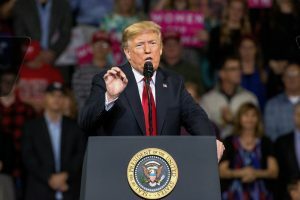 A study published by the Libertarian-leaning think tank Cato Institute in February 2018, for example, found that illegal immigrants commit fewer violent crimes than U.S. citizens. The administration has also blamed illegal immigrants for the loss of American jobs—a conspiracy theory that has been debunked by research. Studies have shown that the loss of American jobs is due to automation, not illegal immigration.